TRIPOLI (Reuters) - Eastern Libyan commander Khalifa Haftar tried to stage a coup by issuing an arrest warrant for Prime Minister Fayez al-Serraj, U.N. envoy Ghassan Salame said on Monday with Libya's top rivals locked in military confrontation over the capital Tripoli. But Salame, speaking to BBC radio, said Haftar's decision to issue in the course of his campaign arrest warrants for Serraj and other top Tripoli officials "sounded more like a coup than counter-terrorism". "We are in fact in a military stalemate since eight days, or nine days," Salame said, adding that both sides had carried out 30 air strikes each that had not changed the situation on the ground. 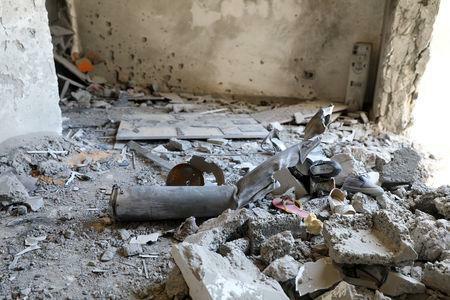 The United Nations Libya mission UNSMIL also warned in a statement that "the bombing of schools, hospitals, ambulances and civilian areas is strictly prohibited", adding that it was documenting such cases for the U.N Security Council. "We are concerned at the mounting civilian casualties, we are concerned at damage to vital civilian infrastructure," David Satterfield, U.S. Acting Assistant Secretary for the Near East affairs, told reporters in a conference call. 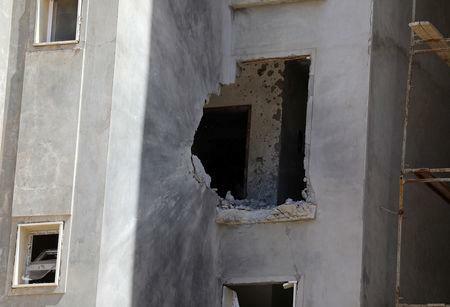 In another incident, Reuters reporters on Monday filmed a residential block in southern Tripoli that was hit by at least one rocket. Several families were inside during the strike but escaped with minor injuries. 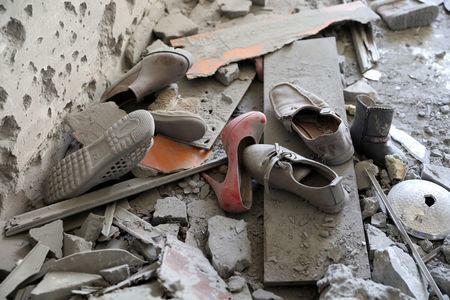 Children's shoes, bread and shards of the rockets lay on the floor of the dwelling. The U.N.-organised national reconciliation conference, planned long before Haftar's advance, had been intended to bring the two sides together to end the turmoil and plan an election.